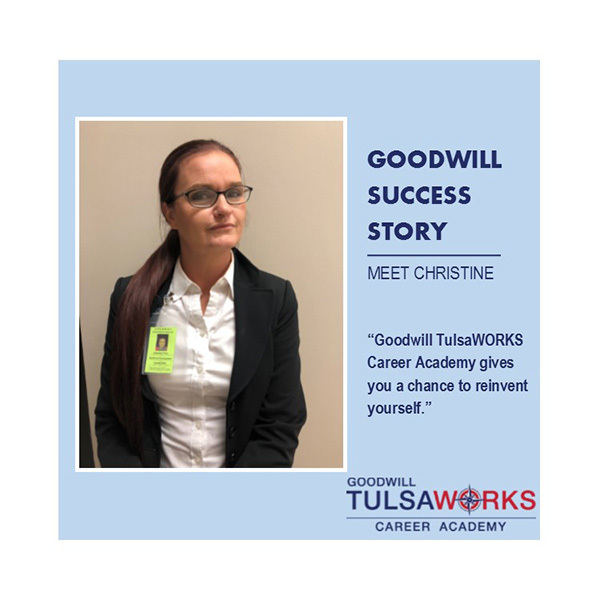 Christine shares how her confidence has boosted since attending courses at Goodwill TulsaWORKS Career Academy. Currently living at Charles Page Family Village with her daughters, Christine has the opportunity to pursue job training and certifications that lead to better paying jobs and financial freedom. She is ready for a change and challenge, professionally. Christine is motivated to take the necessary steps toward her big goals! She encourages anyone who’s experienced a major life change, and has a chance to reinvent themselves, to come to Goodwill TulsaWORKS Career Academy.